Fashion is finally seeing things clearly. Literally. 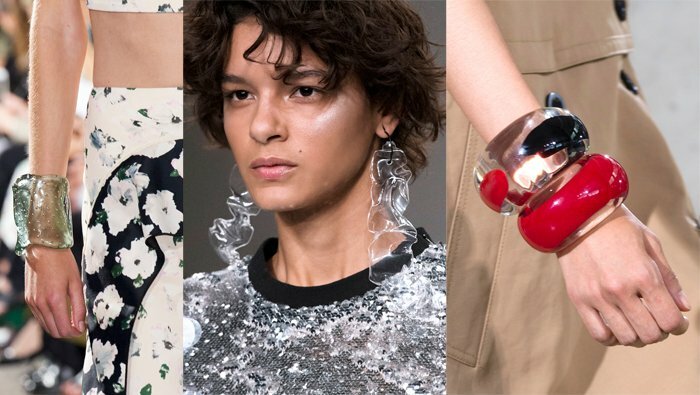 The Spring 2018 runways were rife with transparent acrylic (aka Lucite, Perspex or other trademarked names) jewelry and accessories in the form of chunky necklaces, sculptural bracelets and oversized frosted earrings. While there are some definite nostalgic feels to wearing the clear material again, the new options have a more sophisticated edge thanks to graphic shapes and surprising material mixes. Need inspiration? 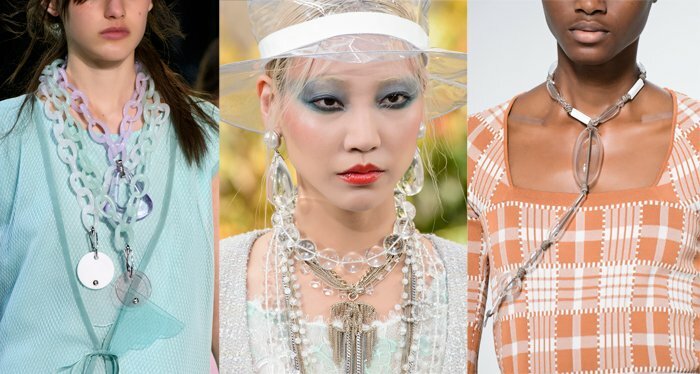 Acne Studios, Hermes, Proenza Schouler, Emporio Armani and 3.1 Phillip Lim presented some striking Lucite pieces on the runway while Chanel served up the boldest take of all: pairing OTT stacked plastic accessories with clear vinyl hats, clothes and Perspex ponytail holders. While the runways offered plenty of inspo, you don’t have to shell out big bucks for designer Lucite jewelry. Click through the gallery below to shop acrylic jewelry options for all budgets.